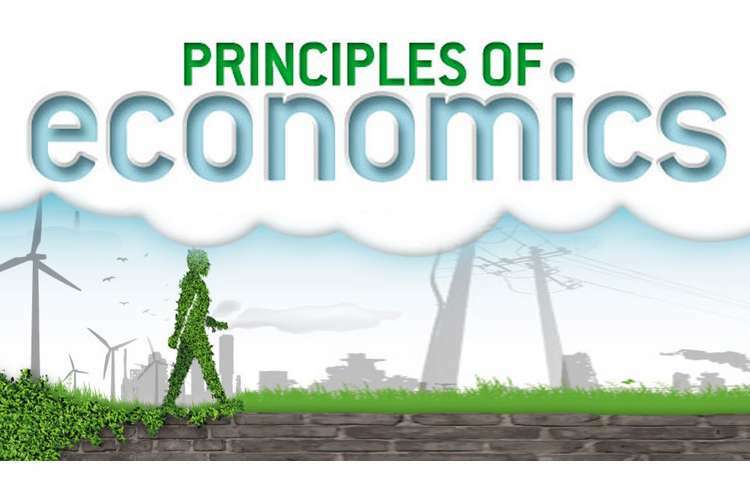 This economic principle assignment solution in this discuss price discrimination in Australia, contribution of economist and polices to reduce carbon emission in Australia etc. Use relevant examples to describe price discrimination in Australia. Discuss conditions necessary for price discrimination to operate. The price discrimination is a type of strategy where the similar products or services are sold out at different prices by the seller in different types of market. The motive behind the price discrimination strategy is to capture the market and to produce the most probable return from a particular product or services. The above graphs show the price discrimination strategy adopted at different types of market in Australia. The graph depicts that the sellers instead of making use of one common price for all types of customers, they divides the whole market into different segments and priced the products or services at different price with the aim to earn more possible revenue from the customers (Noel, 2012). There are many such relevant examples to describe the price discrimination in Australia. Prices of the Airlines: The organizations engaged in the airlines business uses the price discrimination strategy frequently. They targeted to a specific segment of customers to promote their products and services. The fluctuations in the prices often take place at the moment of travel as well as between the organizations also who are involved in the same business. Pharmaceutical Industry: In this industry also the act of price discrimination often takes place. They charge especially relatively high for the medicines and drugs in developed countries as compared to the other under-developed or developing countries (Hazledine, 2010). For example, the prices of the medicines or drugs in Australia are one of the highest as compared to prices of other nations like in Europe where they have to pay only 56% on the same drugs. Movie tickets: The prices of the movie tickets also varied especially for the children and senior citizens the prices of tickets are less as compared to other people. Through this strategy the theatres of Australia promotes the children and senior citizen to watch the movies there by giving the discounts as compare to other people. By this they tend to increases their selling and to maximize their profit margin. Publishing industry: The publishing industry in Australia also shows discrimination in prices. The prices of the textbooks in Australia are much higher as compared to other countries. Although the textbooks are publishes in Australia itself then to the prices are high because of the copy protection law of Australia (Bayer, 2010). Quantity based price discrimination: The price discrimination based on the quantity is often seen in Australia. The retailers or other wholesalers charge different prices to their customers. They provide a discount in the prices when a customer purchases or buys a huge amount of quantity with the seller as compared to the other customer purchasing less quantity goods from there itself. There are certain required conditions which are necessary to operate the price discrimination strategy in the market by the organizations or firms. The first requirement is that the organization or firm must function in imperfect competition market and it should be the price maker. There should be a demand curve of slopping downward. The next condition is that the organization must be capable to divide the market into various sub segments and should avert resale. The example of this condition is, preventing an adult using the movie tickets of a senior citizen which is a discounted one. The last condition is that the different groups of customers should possess demand elasticity (Lichtenberg, 2010). The organizations to increase their level of revenue puts the output and price at the position where marginal revenue is equal to marginal cost (MR=MC). If in case, the market is sub-divided with dissimilar demand elasticity then the organization applies the strategy of price discrimination in order to earn maximum revenue from the products or services. For the sustainable development, it is important to have proper contribution of every filed that have significant impact in economy of nation. Australia is a developed country that having plan for sustainable development which involved economy, social development and environment protection. For example, national government has plan for maintaining the weather conditions and contribute in the balancing the global environment conditions. For that purpose, government is allocating the funds in UN forum as well investing on the local sustainable forest management to have concern over environmental conditions (Lauder.et.al. 2012). However environmental economics is differ from the ecological economics that is subsystem of ecosystem that influences the economic growth of nation as it consider sustainability and rejection of project. Moreover the common goals and approach of managing global biological cycles are critical for economical growth as it create value and determine the process of use of tangible natural resources. For example, economist suggests that environmental changes have direct impact on agricultural process and growth rate of country. In order to maintain the balance and proper utilization of resources, national government of Australia has defined the regulations and for environment protection and control over the level of pollution. Additionally, economists have sated the provision for taxes and tariff on pollution which are having positive impact on the individual responsibility and discouraging the activities that influencing the costs of environmental protection. The provision of Green tax and environmental betterment policy of economist are contributing in positive manner for development of more sustainable environment that encourages the economy of Australia (Azad.et.al. 2014). The plan of the Australian government is to reduce the carbon emissions to 26% to 28% from 2005 to 2030. According to this target, the Australian government has founded a reduction of emission of 50% to 52% per capita and between 2005 and 2030 the reduction of emission to 64% to 65% in the economy. The current policies of the Australian government to reduce the emission of the carbon include the enlargement of emissions offsets. In this, numerous methods and techniques are invented and promoted which will assist in decreasing the use of carbon dioxide in the economy (Narayan and Narayan, 2010). Another policy is based on the imposing of standards based on the fuel emission to the transportation industry of Australia. This will assist in reducing the emission and use of carbon in the industry. The policy is also introduced the baseline and credit schemes in which the private sectors of Australia are provided with a financial aid in order to support them in reducing the emission of carbon in their organization. The policy also encourages the research and development department of the nation to invent and develop the alternative techniques for reducing the carbon emission by supporting through huge amount of funding (Dwyer.et.al, 2010). The government has also introduced in its policies that the carbon taxes will be imposed on the common people on the basis of tonne of carbon gas emitted. The carbon pricing apparatus assist the government in imposing the taxes on the largest carbon gas emitters and other responsible organizations to pay the taxes for the entitled units for every tonne of carbon dioxide emitted by them. These approaches used in the policies of Australian government assist the government in reducing the adverse effect of climatic change and emission of carbon to the economy (Akter and Bennett, 2011). The use of emission trading scheme and emissions tax imposed on the private sectors would be the best and economical way to reduce the carbon emission. Environmental costs: This kind of costs related to evaluation of capital and environmental cost of project that related to the merits and demerits of nation. Australia is developed nation and has world’s 13th largest economy with the GDP of $918.978 billion as well as 5th highest per capita of $40,836. The business point of view for nation is having significant contribution in world economy. Environmental cost is involving subset of cost of operating a business and stand point that related to air, water and land utilization that increasing the level of pollution. This kind of cost is having significant impact on social development, environmental externalities which require additional investment for developing the set of skills to improve the environmental conditions. In the current scenario, organizations are performing the CSR activities and taking the initiatives for optimum utilization of resources to reduce the level of waste that harm environment (Russell-Smith.et.al. 2009). The cost of protecting and recycling products and waste has significant impact on the growth rate of nations as individual or organization needs to put extra amount on the manufacturing. In addition to this, overhead indirect costs for environment involve legal services and capital on the life-cycle of product development. However Australia is not having the issues related to environmental changes in country but the global change in weather condition have significant impact on economical growth. Rising income inequality: According to analysis, it is been considered that growth in economy often leads to inequality in income of individual as well sectors that generate the high revenue. In spite of that, Australian economy is strong and people of nation are not facing such conditions but the rural population is suffering from the costs of economic growth. The evaluation of economic growth of country suggest that inequality in nation is rising as top 20% of wealth people are having 70 times assets of poorest people in country. These kinds of figures are not good for the country as the gap between income and expenditure of people is increasing that could affect the economic growth in future. As per the study, in last 17 years the share of income earned by the top 20% population of Australia is being increased by 2.3 % in a year with the comparison of bottom line people it was 2% higher. In addition to this, top 10% owns 55% of wealth of Australia and the bottom owns just 5.1% which is very shaking as the national government is looking for constant growth. Moreover, the evaluation of economy suggests that inequality in Australia has grown between year of 2011 and 2014 that has significant impact on the economic growth of the country (Curran, 2011). Over the next five years, this is projected to reduce the level of GDP by $13.1bn or 0.7% lower than it would otherwise have been in 2019-20. This would be considered that inequality in the income is bigger threat for nation to maintain the growth in the economy. This approximately translates to a reduction of around $500 per person. Akter, S. and Bennett, J., 2011. Household perceptions of climate change and preferences for mitigation action: the case of the Carbon Pollution Reduction Scheme in Australia. Climatic change, 109(3-4), pp.417-436. Azad, A.K., Rasul, M.G., Khan, M.M.K., Omri, A., Bhuiya, M.M.K. and Hazrat, M.A., 2014. Modelling of renewable energy economy in Australia. Energy Procedia, 61, pp.1902-1906. Bayer, R.C., 2010. Intertemporal price discrimination and competition.Journal of economic behavior & organization, 73(2), pp.273-293. Curran, G., 2011. Modernising climate policy in Australia: climate narratives and the undoing of a Prime Minister. Environment and Planning C: Government and Policy, 29(6), pp.1004-1017. Dwyer, L., Forsyth, P., Spurr, R. and Hoque, S., 2010. Estimating the carbon footprint of Australian tourism. Journal of Sustainable tourism, 18(3), pp.355-376.